Information Technology equals geeks, nerds and boring projects to many in the non IT world. Of course, those working in the IT industry or in IT roles know differently! For women around world, working in IT offers exciting possibilities, travel opportunities and the ability to make a difference to countless organisations through clever developments, data metrics and positive impacts to the bottom line. IT work offers so much - including telecommuting, interacting with highly intelligent people and managing challenging projects. Who could ask for more? Why then do fewer women enter this profession than men? Let’s look seriously at what IT offers us, how we can better market our industry to younger women and of course, how we can embrace the challenges and make it ours to own! About Pam: Pam loves working in changing environments that are constantly shifting. Her strengths lie in being able to help teams agree a vision and then lead them to deliver quantifiable results. Her skills have been honed and tested over the last 25 years in multiple corporate environments from finance to IT, with the last decade spent in IBM. Pam’s success as a Global Manager of a large IBM IT Division culminated in her recognition her as a TOP 25 IBM ANZ Manager in 2012. Pam’s hidden talent is the development of IT business cases that will enable organisations to make sound decisions on some of their largest investments – IT solutions to meet current and future business needs. She has built up deep experience in influencing policy and change management in matrix environments. She is highly skilled in engaging diverse cultures and stakeholders to solve problems with a flair for business planning and development. Pam is currently the Strategic Lead for Women in ICT Australia (WICTA) http://www.fitt.org.au/, an incorporated association which promotes the interests of women working in the Information and Communications Technology (ICT) industry in Australia. If you’re familiar with those loud voices inside that occasionally rage at you “I am not smart enough”, “I am a fake”, “I can’t be a leader here, it’s not my style”, “I should be better at this”…. and get frustrated by these on your path to success, then come to this session! We’ll discuss self doubt and the critic voices, why and when it might show up, and some ways to begin to manage it to be more powerful and allow you to take the lead over it. We will focus on building your success and strength voices and how to achieve your goals and dreams without allowing the doubt to hold you back. Everyone can become subject to this pattern at times, but we can help ourselves and each other to reduce its negative impact, be happier more often and claim the success we know we’re capable of. About Stacey: An inspiring, energetic and authentic facilitator, coach and speaker, Stacey has an abiding passion for helping individuals, leaders and teams grow and develop in ways that bring meaningful success. Clients value Stacey’s ability to bring a supportive yet challenging nature, an approachable manner, to ask the right questions and bring focus to what really matters. She has held positions in the last 20 years in several key industries, performing leadership, strategic, design and vision roles in business, accounting and finance, consulting, client relations, design and development. She understands business ― the people, the numbers and the systems ― that can be connected together in ways that transform. She has brought her expertise to organizations in higher education, government & municipalities, and manufacturing. Traveling the US, Asia, Latin and South America , Stacey has helped organizations deal with change and challenged their processes for greater efficiency and effectiveness. A sought after speaker, Stacey has a reputation for delivering tremendous value to her audiences. They comment on her energy, humor, and the relevance of topics that both inspire and offer practical tools. She has spoken live and virtually with groups from 10 to 800 in a way that deeply connects to individuals with resonant messages. Barbara Waugh will hold a mentoring session for 1 hour. The discussion will address a wide variety of issues for technical women (i.e. male bonding culture, bullying, begin heard and others) and Barbara will respond...demonstrating the use of tools from the Soul in the Computer. Barbara will provide hand-outs of the tools used so you can apply these methods to your own personal challenges and share them with others. About Barbara: Barbara Waugh is an executive coach and consultant. She retired from Hewlett-Packard after 25 years using successive positions as company recruiting manager, and worldwide personnel director for HP Labs to transform HP's culture. As a director in University Relations she focused on economic development through education in the US, Africa and the Middle East. Lessons learned and taught feature in her coaching, consulting and in her books. Soul in the Computer (Inner Ocean Press, 2001), enthusiastically reviewed by Dow-Jones, Fast Company, Business 2.0 and the San Francisco Chronicle. She is featured in numerous publications including The Dance of Change; The Rebel Rules; The 12 Secrets of Highly Creative Women, Surfing the Edge of Chaos; Fast Company, Business 2.0, Strategy & Business and Fortune, Faith and Fortune; Speak the Truth and Point to Hope, the Stanford Innovation Review, Enlightened Power: How Women Are Transforming the Practice of Leadership; Business Ethics, Strategy & Business, and i4D; and in numerous US and international education conferences. She and her partner describe lessons learned raising their African-American children in American Family: Things Racial, described as “a case study in liberal racism” and “a triumph of love." It's hard to imagine the mission to bring clean water to over 200,000 people in Asia and Africa started with a song! All our experiences that seem random and unconnected can actually be the blueprint for a journey that may not be what we dreamed, but even better, what we were meant to do. In the video "How To Accidentally Change the World" Gemma tells the story of how she found her path inspired by fortunate accidents and guided by water's wisdom. This incredible epic journey led her her current work leading the Global Women's Water Initiative providing women and girls not only with access to clean water and toilets, but equipping them with the skills and technologies to build their own solutions creates opportunities for livelihood, health and education. Make sure you tune into the second video "Nothing Is Impossible" to hear from the amazing women about the work of the Global Women's Water Initiative and how it has transformed their lives. About Gemma: Gemma Bulos is a multi award-winning Social Entrepreneur and Director of the Global Women’s Water Initiative. Before GWWI, Gemma was Founding Director of A Single Drop for Safe Water, Philippines for which she received national and international social entrepreneur awards including Echoing Green, Ernst Young and Schwab Foundation. Her programs also won the Tech Museum Equality Award andWarriors of the UN Millennium Goals. Additionally, she has been recognized as one of the Most Influential Thought Leaders and Innovative Filipinas in the USA by Filipina Women's Network; a Top 10 Water Solutions Trailblazer by Reuters/Alertnet and Stanford Social Entrepreneur Fellow. Did you know that less than 20% of all engineering undergraduates are women in the United States? The Society of Women Engineers (SWE) is a worldwide organization helping to stimulate women to achieve their full potential in careers as engineers and leaders, expand the image of the engineering profession as a positive force in improving the quality of life and demonstrate the value of diversity. The SWE chapter in Silicon Valley leads flagship programs which expose girls to engineering at an early age, starting with middle school, continuing through high school and college and later supporting professionals. These Designing Women, WOW That is Engineering! and GetSet programs reach almost 300 girls a year and are highly succesful on encouraging girls to choose a career in engineering. Come and learn from the SWE Board members what have we learned from these programs on helping girls succeed in STEM. The Terrazas Community Kitchen is the vision of a team of investors both in Tijuana, Mexico and in the South Bay of California. Community leaders have been providing meals three days a week to children for years. Through collaborating efforts of fundraising events, an Indiegogo crowdfunding campaign, and private donations, our hope is to develop the foundation onsite into a fully functioning kitchen to not only to continue serving from it as a food distribution site, but also to offer leadership and lifeskills trainings. Lynda K. Haliburton, a lifeskills teacher and compassionate mobilizer, Lynda has produced several youth fundraiser events in the south bay for youth there and in Tijuana. Since visiting the Terrazas community in 2010, her vision is to cooperate with others to empower and strengthen the women and leadership there to develop this kitchen into a fully functioning, sustainable site, affecting thousands. Youth Pastor Benjamin Guerrero. A solid community youth leader in San Jose for over 20yrs, Pastor Ben has taken youth and adults to Tijuana in multiple trips for many years. Highly respected by the leadership there, he has led leadership trainings for youth, empowered and trained youth to lead youth camps. Martha Rivera, Community Member. Martha (SJ school personnel), and her Mother, Lupe (SJ business owner) have property in Tijuana and have invested time and resources for many years to the Terrazas community. Imani Browning, Youth Leader and recent College graduate. Imani is a committed missions worker, fully bilingual, she has been a consistent advocate for the Terrazas community, serving the children and raising financial support for many years. Dreams do not die at sunrise. That is when they become reality. Fabiola Addamo is a social entrepreneur and artist. A native of Italy, Fabiola studied classical piano. She then moved to the U.S. in 2001 and obtained a B.A. from San Francisco State University. She worked at Yahoo! (2007-2012). She has built the business concept "Fabiola Addamo Art & Design". She is also designing a new online mentorship concept for women around the world. She volunteers for the United Nations Association of San Francisco. She runs a facebook group “The Voice of Global Modern Women”. She mentors for Techwomen program. She is a participant of "Geeks on a plane" program. This session captures a 'Day in the life' of women at ThoughtWorks across the globe. We showcase what women do within ThoughtWorks to break the stereotype of what it is like to be in technology and to show what ThoughtWorks geek women looks like. By talking to women across our different offices, we also demonstrate how life differs in the various cultures as well as what remains the same. The notion of being lucky has always resided within me. As a young girl, I was inspired by Mother Teresa. Organizations such as Unicef stirred within me the beginnings of a dream to one day reach out and touch people with the same intensity. I would later learn that passion for a cause greater than myself was what drives me. Life happened, other events and dreams took priority, the feeling of wanting to make a difference was never forgotten. A forced transition to an unknown country was the force behind a transformation, fueled by participating in the Women Leaders for the World Program in July 2012. Another version of ME emerged, committed to Paying it Forward. Raising awareness about the work being done by the Women Leaders for the World program, fulfills my own Inspiring Challenge: to reach out in support to 100,000 women globally. I will share with you my own definition of Paying it Forward, and how I bring this definition to life in daily actions. At times, these actions take me out of my comfort zone. But then I remind me that is better to have had the courage to try, than not have tried at all. About Martine: Martine has both been a Manager for Customer Relations in a major financial institution, as well as high school teacher. After coming to the U.S., she had to recreate herself and find meaningful ways to get engaged in her community. She stepped up to be a leader in her church community and led the Women’s Ministry for 5 consecutive years. At the same time, Martine became involved with a local teen pregnancy shelter for which she still volunteers, served on its Gala Auction Committee and was able to build a relationship with some of the residents. Martine joined Global Women’s Leadership Network in 2010, first as Volunteer Manager, then as Community Partner, and as of May 2011 leads the Development Department. She was a participant of the Women Leaders for the World program in July 2012 and recently graduated from that class. Whether in her career or volunteer positions, what matters most is the relationship that grows between herself and anyone she meets, looking for an opportunity to pay it forward. Currently she works to extend her reach and impact beyond her local community. IEEE Japan Council Women in Engineering affinity group is the volunteer team belong to IEEE (the world's largest professional association dedicated to advancing technological innovation and excellence for the benefit of humanity). Women researchers' and engineers' status in Japan has been improved gradually, but still a lot of problems remain for the women to take active role in the field of engineering. Our aim is to promote/encourage/motivate women engineers/researchers in Japan for opening up of our career and contribution to the society. In this talk, we introduce our challenges/activities for overcoming problems and building network and cooperating with each other. Takako Hashimoto graduated from the Ochanomizu University, and received a Ph.D. in computer science, specialization in multimedia information processing, from the Graduate School of Systems and Information Engineering of University of Tsukuba in 2005. She worked at the software R&D center of Ricoh Co. Ltd., in Japan for over 20 years, and participated in the development of many software products as a technical leader including international collaborative research handling. From 2009, she has become a faculty of Chiba University of Commerce. Currently, she has focused on the data mining research and the visual instruction method development for finance engineering. Nobuko Kishi is a professor of Computer Science and the director of the Center for Women in Research at Tsuda College in Tokyo. She received B.S. in Information Science and M.S. in Information Engineering from the University of Tokyo. After working for Tokyo Research Laboratory, IBM Japan, she has been teaching at Tsuda College. Her field of study is software engineering and her current research is centered on the technologies for English as a Second Language (ESL) learners. She has developed http://cooll.tsuda.ac.jp, a site for creating learning materials from the real contents on the Web. Mamiko Inamori received her B.E., M.E., and Ph.D degrees in electronics engineering from Keio University, Japan in 2005, 2007, and 2009, respectively. Since October 2009, she has been an assistant professor in Keio University. She received the Young Scientist Award from Ericsson Japan in 2010. Her research interests mainly surround signal processing in wireless communication. We live in a world of scarcity. As women, we can lead the world and our organizations towards a different paradigm – one of abundance. There is abundance all around us – from smiles to appreciation to love. What would the world be like if we all started promoting abundance? About Linda: Linda, GWLN Board Chair and Founder of GWLN, is the Dean’s Executive Professor of Leadership at Santa Clara University. She has more than 30 years of experience working in the high-tech industry and has spent 10 years teaching leadership in the corporate arena. Linda spent more than 10 years as a Vice President and officer of a Fortune 300 IT company and was CEO and Founder of Pebblesoft. She is a noted public speaker on leadership and management and is the recipient of the Santa Clara County Commission on the Status on Women’s Award for Contributions to the Equality of Women. Linda was also selected as a recipient of the “Forever Green Award” by the Girl Scouts of NorCal. She was recognized with 99 other women leaders for their significant impact in sustaining the environment, economy or community. What Happens When the Cloud Bursts? Cloud computing has grown from a promising concept to a highly successful segment offering reduced cost and increased flexibility to enterprise/business. However security is always a concern where sensitive data is stored on cloud services especially outside the corporate control. As per CIO.com Business technology research “Eighty-two percent of U.S. companies trust the cloud enough to use it in at least some deployments. However, 54 percent also list cloud security as a high priority “. Therefore, enabling comprehensive security is a pre-requisite for organizations to adopt cloud-based services. In its 75th year of independence, in 2022, India is envisaged to be a world leader. We have less than 10 years to go. I am a social entrepreneur working in India for over twenty years and I believe that transformational leadership for women and youth is a vehicle to attain this goal. I base my belief on my experience with working on transformational youth nature leadership through the Green Rhinos Program and my personal experience with women’s transformational leadership. I wish to share my experience through the VOICES conference on the occasion of International Women’s Day 2013. About Diti: Diti is passionate about transformational leadership for youth nature leaders and women leaders. 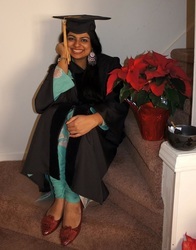 She is a Fulbright-Nehru Environmental Leadership Program Fellow 2011-12. She directs the Association for Social and Environmental Development (ASED) www.asedkol.org , a non-profit organization working on nature conservation through public awareness, action research and people’s participation. 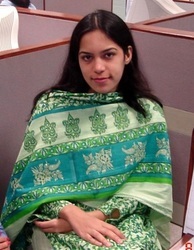 Diti is a 2011 graduate of the Women Leaders for the World Program conducted by the Global Women’s Leadership Network. She is working to bring transformational leadership programs to India. How Can a Woman be Very Successful in Testing? Woman Quality Engineers has come a long way in IT. There is a burst in thinking in the recent decade, as compared to 1990’s. However, there is always a question in the mind, specifically being in Test field – is testing considered as low as compared to development in IT? Can I grow beyond medium management being in testing? Can I balance my personal life while being in testing, which is considered as gate keeper for the project, before delivering to the customer? Etc., Therefore, enabling test engineer to think BIG, from customer perspective is a pre-requisite for organizations to beat customer satisfaction. Abstract: Technical women from different regions of Pakistan bring to you a sneak peak of our lives and careers in this one hour (virtually) distributed panel discussion. We are made of Pakistan, we proudly own our background and heritage, and we share with you our stories. Target Audience: Anyone and everyone who is interested in knowing more about the women from (and in) Pakistan successfully leading technical careers. What it Takes to Build a Software Defined Data Center? - What is the operating model of the data center? - What this technology really is? - What trends it brings in to the next generation of data centers? - What are its benefits? A cloud scale datacenter is a lot different than the datacenters of the past. It has to be agile, efficient and has to scale out fast. In this scenario, traditional models of provisioning, administering and monitoring the datacenter just do not scale. To address the need of a fast growing cloud implementation, we are moving to a world of standardized hardware blocks where, increasingly, all the infrastructure functions that we know of will be developed and deployed in software. And even more importantly, the control of this datacenter is entirely done by software. The data center is on its way to becoming programmable and automated. In this talk we present the building blocks of a software defined datacenter and the rapid advances in technology that are the enablers of this new breed of datacenters. Career Management - High Wire or Juggling Act? Senior technical women talk about their careers, their families and share their tips for success. Find out about the work they do, the challenges and how they manage them. They will also talk about career advantages and opportunities and offer career insights into the tools and support they have used along the way to ensure they are able to reach their full potential. Jan Peters is MD of Katalytik a consultancy focused on inclusion and engagement in science and technology and has worked in academic research and the private sector in technical roles. Evelyn Simpson and Louise Wiles are Directors of Simpson, Wiles & Associates which offers a comprehensive support solution for the accompanying partners designed to facilitate empowered international relocations. Louise and Evelyn are also co-authors of the ground-breaking Career Choice and the Accompanying Partner Survey Report. Evelyn has lived outside her passport country for 24 years and has made her home in 5 countries on three continents. She currently lives in Brussels Belgium with her husband and two children. Louise first relocated abroad fifteen years ago and has relocated five times. She currently lives in Lisbon, Portugal with her husband and two children. Louise and Evelyn’s business exemplifies the changes that technology has facilitated in the globally mobile population. They conducted their research, wrote their report, structured their company and created the Thriving Abroad products working remotely in their respective countries and using service providers around the world. They’ve spent over 100 hours collaborating via Skype but have only met in person twice. In our Western, corporate world, seemingly everybody talks about leadership. We should turn to our leaders for guidance, we should find and train the leaders of tomorrow, we should become leaders if we want to move up (and who doesn’t?!). But what does this form of leadership mean? In practice, this “leadership training” amounts to assimilating ambitious newcomers into the existing corporate and societal structures. As women in technology, we are a group that is in the process of transitioning from total underdog to being part of the in-crowd. We are the ambitious newcomers. In this opinion talk, I want to argue that our collective obsession with leadership as it is usually framed is unhealthy. It splits the world into kings and pawns. It gives the wrong incentives. It obstructs diversity. In the end, how we choose our “leaders” is also a moral question, because this type of leadership implies inequality in a system of unequal access to opportunities. I also want to offer some thoughts on how we can frame the questions that arise out of the leadership discussions differently. About Regina: Regina O’Dell, employed by Google. Diploma and PhD in Computer Science from ETH Zurich, Switzerland. Since then at Google, initially 100%, then 80%, currently 90%. Involved in random women support events. Mother of 5, joint work with M.O’Dell. Fluent in English, German, Russian. Open Source Technologies and African Women? Open Source Technologies make a major difference to building strong technology skills. They offer opportunities to figure out how to work in open collaborative environments and actively promote knowledge sharing. Globally women form a relatively small percentage of open source communities, and the situation looks even worse in Africa. What are the reasons for this? Are women just too busy to invest long hours in virtual communities or is it a brain wiring issue? Does this really matter? If it does, what can be done to start changing the situation and to get more African women involved in the open movement. Dorothy K. Gordon is the Director-General of Ghana's Advanced Information Technology Institute, the Ghana-India Kofi Annan Centre of Excellence in ICT (AITI-KACE). She leads a team of world-class technology professionals committed to using the opportunities that exist globally to bring development to Africa through technology innovation. Her career as a specialist in international development includes extensive experience within the United Nations complemented by work in the private sector and civil society organisations. Fluent in English and French she has worked in over 60 countries in Africa, Asia, Europe and North America. She has been actively involved in shaping Ghana's Information and Communications Technology scene for close to 20 years. She sits on international and national boards focusing on new media, women in technology, training and job creation. Seun Ojedeji is a network engineer with extensive experience and management skills. Although he generally develops a curious state of mind whenever he comes across technology, nevertheless his major area of specialization is in systems networking, internet services and elearning solutions. Since he discovered the power in Free and Open Source Technologies (FOSS), he has learnt, taught,and deployed many solutions using FOSS. Seun has been privileged to participate in major technical trainings, workshops and conferences where he either served as a trainer, presenter, or session chair. He is an Alumni and instructor with Afnog mother body of Linux chicks which is a IT capacity building group for women in Africa). He is a Council member and CTO of FOSSFA (Free Software and Open Source Foundation for Africa). He presently works full-time at Federal University Oye-Ekiti. This will be streamed through Google On-Air and embedded here one hour prior to the session. Do you find sometimes find yourself in a situation that is spiraling out of control and you can't seem to get a handle on it? For many of us, this happens more often than we would like. Barbara Fittipaldi will discuss a method for evaluating a situation and "getting both hands on the steering wheel" to begin to control the outcome to the best possible conclusion. By developing this skill you will be seen as a solutions-oriented person and one who is flexible and capable of dealing with difficult situations. By managing these outcomes you will be happier in your role and will have greater job satisfaction. Barbara Fittipaldi has worked with technical women around the globe and provides the tools to help steer you in the right direction. Barbara Fittipaldi is president and CEO of the Center for New Futures, an international consulting and executive education firm with offices in New Jersey and California. She has earned a reputation for excellence in her work as a management consultant and program leader for more than 30 years. Her work centers on ‘breakthrough’ results, with a commitment to transforming the workplace into an environment of collaboration, self-expression and accomplishment. Mathematics, and she has taught courses in management and leadership at Rutgers University and Fairleigh Dickinson University. Global teams are now prevalent in product development. International development teams in major software development companies require best practices to successfully work together and achieve outstanding results. Through this talk you will learn what are the key foundational best practices to engage remote team members. Claudia Galván is Director of Product Manager at YouSendit currently leading product internationalization. At Microsoft, Claudia spent almost 6 years, leading the international versions of some of Microsoft Online Services including Hotmail, Bing and MSN among others in up to 48 languages and 160+ markets. At Adobe, she held senior engineering roles setting the product globalization strategy and developing Globalization and Electronic Software Delivery technologies used in all Adobe products. For a couple of years at Oracle, she was the National Language Support manager for the Tools Division were she drove early versions of Unicode into the Oracle Tools products and achieved simultaneous release for the first time. She has a Master's degree in Program and Project Management from Golden Gate University and a Bachelor’s degree in Computer Science from Anahuac University in Mexico City. She was the 2008 recipient of the Global Product Development Leadership award and the 2009 recipient of the Microsoft Women Empowerment award. She is VP of Career Guidance at the Society of Women Engineers in Silicon Valley, board member at Notre Dame High School in San Jose driving STEM initiatives and a doctoral student in education, researching strategies for increasing the pipeline of Women in Engineering. The Gender Competence Model dispels bias in perceptions of leadership and accounts for significant difference women make on corporate boards, for increased collective intelligence and increasing productivity and innovation. This session introduces new context, language and skills to disarm fear of talking about gender differences, and reveal valuable competencies in what women often consider to be “common sense” and what men often see as incompetent. Based on research on the Strategic Advantage of Women's Leadership and Santa Clara University's Graduate Course on Gender and Engineering, Gender Competence draws on Social Linguistics, Cultural Competence, Brain Science and Business Leadership. About Bonita: Bonita Banducci is a founder of the Global Women’s Leadership Network and teaches Gender and Engineering for Santa Clara University’s School of Engineering Graduate Program. Her original research in a Silicon Valley Fortune 500 Company “What is the Contribution Women Make that Could Be the Strategic Advantage in the Global Marketplace?” launched her original work in Unmasking the Gender Effect with a new framework for understanding gender differences, Gender Competence. She wrote Executive Summary, Closing the Gender Gap—What we can do for RBC, and its clients. Her paper Take Charge of Your Promotion is first of a new series. This recent article notes the next generation’s leaders in Science, Technology, Engineering and Mathematics. Within the next five years, STEM jobs are projected to grow twice as quickly as jobs in other fields according to the U.S. Bureau of Statistics. While all jobs are expected to grow by 10.4 percent, STEM jobs are expected to increase by 21.4 percent. Similarly, 80 percent of jobs in the next decade will require technical skills. But we have a shortage on the number women graduating with the STEM major. Where are the discrepancies? How do we expose STEM educations to more girls at a very young age? How do we incentivize established leaders to become mentors? -Is networking really works for good? About Ivo: Ivo Lukas is the Founder/CEO for 24Notion & Chief Innovations Officer/Director Global Mentorship for Girls In Tech. 24Notion is the first global creative marketing/digital PR & lifestyle agency with special emphasis on giving back to the global communities. With a broad understanding the art of non- traditional marketing, new media, communications and social influence. 24Notion ranked #17 in Corporate Philanthropy nominated by Portland Business Journal Book of List. Ivo is passionate about leading, nurturing and mentoring the next generation, especially young girls, who’s aspiring to be in technology. She is the advocate of encouraging positive, inspiring and improving lives of the young girls to gain an entrepreneurial spirit and leadership skills. She is leading the Global Girls in Tech mentorship program with goals to support young girls ages K-12, college professionals and young entrepreneurs on the importance of math, tech and science at a young age that will embrace, collaborate and promote growth and success for young girls to stay in the technology sector. Throughout history, women’s voices have been dampened by social constraints. This heritage is still very much with us. However, when we free our natural voices, we are able to give full expression to who we are and what we feel. We begin to feel heard, and develop a sense of confidence and efficacy. Come share in this discussion of voice and how it matters, particularly in the lives of women, as we continue to make our presence known and felt in our communities and in the world at large. About Kay: Kay Kleinerman, Ed.D. is a voice expert, teacher/coach, researcher, and writer whose innovative work uses singing to empower people in ways that transform their lives through voice. She specializes in helping others find, develop and fully use their authentic, individual voices to transcend fears and access their personal leadership capabilities. In addition to an extensive professional singing career, Kay has more than 20 years of teaching, consulting and workshop development and facilitation experience. She has led her signature Voice Matters® workshops for such groups as the Global Women’s Leadership Network, Hope House, and Right Management. She designs and leads workshops for non-profits and businesses, and offers public workshops on a regular basis in her San Mateo studio. Kay is adjunct faculty at both Sofia University and Notre Dame De Namur University, and has been a guest instructor at the California Institute of Integral Studies, as well as a faculty member of Santa Clara University and UC Santa Cruz extension divisions. Kay has a Bachelor of Music from the Cleveland Institute of Music, a Master of Arts in Music Education from New York University, and a Doctorate in Educational Leadership from Mills College. This session is ideal for women in individual contributor and first-line management roles. Collaborate for Africa (C4A) was started in November 2009 to help great people supporting efforts in Africa through collaboration. It started with solving an issue one group was experiencing through a partnership with another Nonprofit. Today C4A has over 500 members, mostly in the San Francisco Bay Area, and has inspired the formation of a C4A Chapter in London and a Collaborate for Haiti group based in New York. In this talk, we will review how C4A started, evolved, grew and review some of the outcomes with an annual operating budget of $0. Hopefully, you will come away with ideas that you can incorporate into your efforts. About Jeff: Jeff is a Financial Advisor and Certified Financial Planner (CFP®) with Morgan Stanley. He works with investors and their families to manage their personal wealth and partners with nonprofits to optimize the philanthropic potential of their donors.Jeff works with many other organizations including GWLN, the Salvation Army, One World Children’s Fund, the Big Turtle Fund and numerous organizations working in Africa. In 2006, Jeff and his wife, Shirley Chen, Ph.D, Esq., developed their “Little Eagle Scholarship Program” to support talented, disadvantaged students at Shirley’s high school in rural Southern China. In 2008, Jeff co-founded the forum “Continuing the Conversation” focusing on issues facing Silicon Valley magnified by the 2008 Financial Crisis. Some of the most inspiring moments in the workplace for me have been when I have heard great success stories of women who have reached heights in their career. At the same time I feel disappointed when I hear of bright young women leave the work force. In this session, I will share my experiences on how several factors influence your career growth. I will share the tools to do a self-analysis keeping the long term career goals in mind. Shubha is a Product Manager at HP. She recently relocated from HP India to the United States. In her current role, Shubha handles the product management of various integration solutions for an HP product solution called HPconnected.com, which provides a web platform for printing from anywhere, anytime and with any device. Prior to moving to the United States, she handled the development of WallArtIndia – a solution for Wallpaper print in India which was successfully launched in various cities. Shubha has been in the IT industry over 17 years, where she managed development teams in various domains – Printers, Automotive, Security systems, and Digital TV. She has worked with various international teams from the United States, Germany, Netherlands and Spain. Before joining HP, Shubha had a long stint with Robert Bosch India and then with Philips. Shubha holds a degree in Engineering. She has done the Executive General Management program at Indian Institute of Management Bangalore. Her hobbies include Badminton, Athletics, Photography and Painting. The speed at which data is being generated today is mind boggling. In 2012, every day 2.5 quintillion bytes of data were created, with 90% of the world’s data created in the last two years alone. This vast amount of digital data would fill DVD stack reaching from the Earth to moon and back. With such staggering and unnerving statistics, it’s becoming harder to quantify Big data and even harder to store it. The Green IT technologies discussed here show how to efficiently shrink this and store this information. Target Audience: Undergraduate students to IT professionals who are interested to learn about Big data and Green IT strategies. Dhanashri Phadke is a Computer Engineer with over 14 years of experience in Storage domain. Currently working as a Principal Software Engineer at Symantec, Minneapolis. At Symantec, she has worked on the backup products namely Netbackup and PureDisk both of which have partly incorporated the Green-IT strategies. Jon Isom is a Software Engineer who for the past six years has worked in the area deduplication as related to storing backup data. He currently works as a Principal Software Engineer with Symantec in Minneapolis, Minnesota. Have you ever wondered how am I going to go through this? Everyone goes through transitions in life– some of them are by choice and some are triggered by circumstances that you may not have chosen. No matter what the trigger, it can feel overwhelming. What if instead of feeling out of control, you took the lead to design what you want? Discover a new way to look at transitions in your life, examine your self-imposed beliefs and limitations, so that you can triumph through your transitions and live your life to its fullest potential. 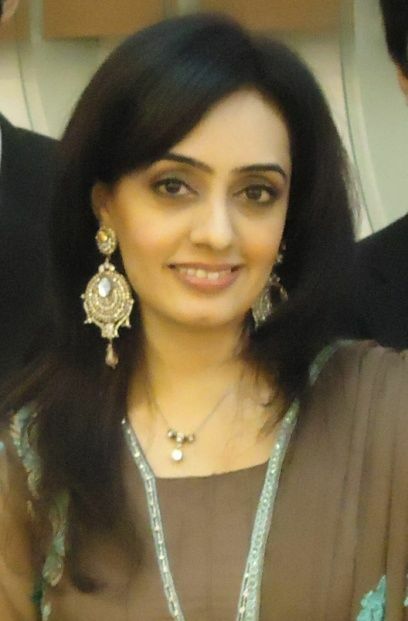 Ms. Abha Singhvi is a Life/Organizational Coach and a Business Consultant. She is passionate about empowering her clients to discover their unique gifts and live their life with purpose. Ms. Singhvi brings her experience from founding two successful businesses. She was co-founder and VP of Finance and Administration at Paperfly. As founder and CEO of Stratascape, she was responsible forall aspects of the business and eventually sold the company to TMP Worldwide (now Monster.com). Abha has been a supporter and has worked with non-profit organizations throughout her career. Currently, she works with GWLN, Maitri, and Arati For Girls. Tanya Monsef Bunger is a business and leadership coach. She delivers leadership training, facilitates conversations, and provides one-on-one coaching to clients around the world. She is passionate about empowering her clients to express their unique gifts and talents for global harmony. Tanya brings 25+ years of global business experience from corporate, start-up and non-profit industries to her coaching. Currently she serves as CFO for Global Niche, offering programs and a supportive community that uses technology as a vehicle for improving the opportunities available to you no matter where you are in the world. The Role of Women in Global Companies. How Do We Push the Envelope? The evolving role of women in technology leadership. How to be ahead of the curve and succeed with innovation leadership and not just the standard models of leadership. Innovation is a key agenda for all companies and a challenge. Women technologists have great assets in this area. How can we push women further faster? Disruption is a critical element of innovation, yet most companies resist disruption! Why is disruption critical to innovation and how to work through our habit loops and resistances to achieve effective disruption leading to innovation. A critical discussion which is the focus of my book ProVoke and hoping to share the ProVoke Methodology with the participants. I hope to brainstorm with our great participants to learn how to break habit loops and not only work through the resistances of others, but more importantly through our own resistance. How do we move ourselves out of the way to achieve innovation through disruption. Bringing topics 1 and 2 creates a very interesting discussion about the key ROLE that women can play GLOBALLY to drive effective disruption, to meaningful innovation and improve the rate of innovation in companies around the globe. GlobalNiche cofounder Tara Agacayak used technology to reconnect with the world after falling off the map and overcoming feelings of isolation and depression in a tiny Turkish village. In this interactive pre-recorded seminar, Tara leads a discussion with members of the GlobalNiche community who share their stories about how they use the social web to reshape their own opportunities despite being in situations that aren’t optimal. Join this discussion and be inspired by stories of being lifted to higher levels of aspiration and execution, farther reach and larger impact in work and in life. 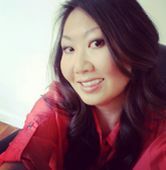 About Tara: Tara Agacayak studied psychology at Santa Clara University and worked as a data specialist for the DoD. She earned an MS in IT from the Naval Postgraduate School where she met her Turkish husband and moved to Turkey. Adapting to a different culture sparked a depression and withdrawal from society. Social media reconnected her with the world. Tara attended GWLN’s Women Leaders for the World program and supported local artisans through ecommerce and empowered them to represent themselves online. She and her GlobalNiche business partner created SUM-it UP to show people how to take small steps to improve their lives through technology and global community. While much has been written about the dearth of technical women in specific (mostly Western) countries, few data sources exist to provide meaningful cross-country comparisons. 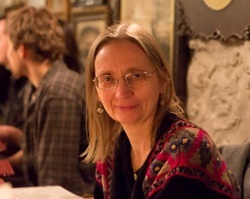 In this session, Simard will discuss what evidence exists on the status and documented barriers facing technical women in various parts of the world, what issues are commonly documented and which vary by region, and invite the attendees to engage in a cross-national dialogue on how culture and national context shapes what it means to study and work as a woman in technology. About Caroline: Caroline is passionate about building better workplaces for women and underrepresented minority talent in STEM fields through evidence-based solutions. She is Associate Director of Diversity and Leadership at the Stanford School of Medicine, responsible for the implementation of a novel approach for career flexibility in academia. Prior to joining Stanford, Caroline was Vice President of Research and Executive Programs at the Anita Borg Institute for Women and Technology, where she led the creation and dissemination of solutions to further diversity in scientific and technical careers in industry and academia, working with leading technology companies and academic institutions. Prior to ABI, Simard was a Researcher at the Center for Social Innovation of the Stanford Graduate School of Business. Beyond giving presentations that inform, there is a world of ways you can develop yourself as a leader. Great stories challenge, engage, inform, persuade, mobilize and inspire. Storytelling is a highly effective method of opening dialogue and finding common ground. Leaders understand that stories highlight learning opportunities and create memorable experiences. Knowing how to deliver a story effectively combined with knowing the right story to tell is a powerful influencing and communication skill. In this workshop, Barbara provides a guide to writing and sharing a transformational story that captivates and invites your audience in. Tanya illustrates the steps with inspiring stories of transformation. Barbara founded Barbara E. Key consulting in 1998. She is a transformational consultant who coaches leaders of organizations and teams to create a road map that generates a future they care about. She joined Global Women’s Leadership Network (GWLN) in 2007, has been the operations director and associate director for the Women Leaders for the World program, and serves on the partner team. Barbara is the managing director of At the Well. For five years she has coached the story tellers to share their inspiring story of personal transformation while relating it to their vision for the future. Learn 10+ different social web applications you can use to build your professional web platform – a necessity in today’s job market. GlobalNiche.net cofounder Tara Agacayak has a natural way of presenting how to use social media tools to help you personally and professionally. Not only does she discuss the tools themselves, she offers practical advice for fears and obstacles that arise when faced with feeling vulnerable by being visible online. Originally presented to international professional women in Istanbul, this forty-five minute workshop will help you lay the foundation for your place in the local and global market. End of conference - all sessions will be available for viewing within 2 hours after the conclusion of the conference for 30 days.